There doesn’t seem to be time to rest! Another group of people become enslaved by something they call Sabbath. It begins with some form of worship, which is good! The problem is, it threads through a day governed with “you must not” decrees. “You must not work.” “You must not play sports.” “You must not shop.” “You must not cook, clean, mow the lawn or wash the car.” Troubling questions about the “you must not’s” include, if I go to dinner at a restaurant, am I forcing someone else to sin because it means they are working on the Sabbath? Or, what do I tell my son or daughter’s soccer team when they have a game or, worse yet, a tournament on the Sabbath? What if the Sabbath is the only day of the week I have to run errands, buy groceries, do laundry and plan for the upcoming week? What if I have to work on the Sabbath? It’s as if the religious rules for the Sabbath squelch emotional relaxation rather than secure the intended outcome of renewing and refreshing human life. The problem might be in how we recognize and practice Sabbath rest. Mark 2:27-28 has been batted around for years as a key to understanding what the Sabbath is all about. Maybe if we go back to the instructions given to the Israelites in Exodus 20:8 about the Sabbath we can find another clue. Remember the Sabbath day, and keep it holy. Six days you shall labor and do all your work. But the seventh day is a Sabbath to the Lord your God; you shall not do any work—you, your son or your daughter, your male or female slave, your livestock, or the alien resident in your towns. For in six days the Lord made heaven and earth, the sea, and all that is in them, but rested the seventh day; therefore the Lord blessed the Sabbath day and consecrated it. Yes, this is the 4th of the 10 Commandments. It is a bridge between the first 3, which speak about our relationship with God and the final 6 which guide us in family, business, neighbor, friend and all human relationships. There is something here…something that is essential for living as God created us to live in the world that God created for us to live in. Tripping even further back in scripture we find the stories of creation in Genesis 1:1-2:3, which narrates a 7-day account of creation, and Genesis 2:4-25, which focuses on humanity’s creation. Keep in mind; these are creation stories – not historical accounts. They were designed to let the listeners or readers know that God created the earth, plants, animals and people. God saw that all these things were good and then sat back and rested after such frenzied activity. So, where does that leave us in our 21st century lives? Sometimes we simply have to take a break from the routine of life. It doesn’t matter if it’s a job or something fun – we need a break from it. That break time has a purpose. Some of that time should be spent in meditation, worship, prayer or whatever it is that keeps us mindful that God is here, with us, alive and present in all things. Read that again…here, with us, alive and present in all things. God isn’t distant and contained in some ambiguous place above the clouds. God is here, with us, alive and present in all things. When we pause, we need to recognize and celebrate that presence in each other, in nature, in our pets, our employees, our bosses, our teammates, our neighbors, our relatives and our own hearts. It’s looking at the pause as time to remember and find ways to enact the entirety of the 10 Commandments as loving God above all things and our neighbor as ourselves. Whose are we and how do we live once we embrace God (Jesus) as Lord? Okay, it can all seem like theological rhetoric, but what does the Sabbath pause actually mean in our lives today? Everything, even the good stuff, can get old if we saturate our lives with it. I call it the chocolate cake theory simply because I LOVE chocolate cake. However, if I ate chocolate cake every day it would become routine and unappreciated; dull and somewhat boring. I could dress it up with ice cream, which would make it appealing for a day or two. Or, add a ganache topping, some whipped cream and a cherry. I can keep busy making my chocolate cake better and better with more and more and more…or I could pause and remember why I like chocolate cake. You see, for me chocolate cake reminds me of being a child and enjoying a family celebration. I remember rooms filled with love and laughter as family members shared stories and the rich history of who we are and from whom we came from. It is those kinds of memories that thread through and impact all that we do if we simply take the time to reflect and remember. When we forget to pause, we go on autopilot and forget the essence of why we do what we do…the who we are and Whose we are concept. I can certainly go back to chocolate cake after the pause, but maybe this time I will see it differently. I might share it with someone who needs a gentle bit of encouragement or who is grieving a loss. Maybe I’ll share it with a friend who is celebrating a wonderful event. I might take a piece to the neighbor who is alone and struggling with life. You see, the memories of why I love chocolate cake become as important as the cake itself, but only if I take the time to remember. I don’t know if it is right or wrong to work, shop, or play sports on the sabbath. I do know if we pause and remember that God is love, that love will guide us in all we do making the specifics a moot point. For those of you following Sophia Meditations, you know that I haven’t written my weekly blog for some time now. You see, I needed a pause to refresh, renew and remember. Now, it’s time to have some chocolate cake! Some things make me crazy. For example, I hate weeds in my garden; pushy people make me irrational; spotted windows challenge my inner OCD; and find another place to be if my computer, cell phone and/or iPad decide not to work. I try to keep it all in perspective, but some things are tipping points – plain and simple. The thing that brings me to borderline insanity is when I am around people who have decided they know what I think without taking the time to talk with me about my beliefs and opinions. It seems to be epidemic in our culture today. Such a simple statement! It takes the pressure off, doesn’t it? Well, maybe. The key to understanding the concept of a relationship lies in the words “being there”. It reminds us that there is actually some form of responsibility involved in a relationship. Like, a relationship is more than simply enjoying another person’s company and having a good time hanging out with them. There comes a time when something draws us to dive beneath the surface and bring us to that place where we would support, help, guide, nurture, stand beside, rescue, protect, or praise the person we happen to say we are in a relationship with. You know, be there when life happens whether it’s a good or a not so good thing. But, to be there you have to know the other person. What do they actually believe? How do they really feel about a situation? It isn’t enough to think you know about them simply because of some form of generalizations you make regarding their work, political slant, or spiritual beliefs. Nor is it fair to categorize anyone based on gender, ethnicity, sexual preference, the neighborhood they live in, the car they drive, the complexity or simplicity of their intellect or whether or not they have bad breath. Hmmm – it all sounds a lot like judging someone when we use these traits to assume we know what and how a person thinks. In his amazing and divine wisdom, Jesus addressed this issue of judgment towards others. Some denominations have turned the concept of judging into a statement of eschatology complete with the false claim of having an insider’s knowledge of who will pass through the pearly gates and who will spend eternity in hell. Unfortunately, to believe that I am in the “saved” category simply because I ascribe to a particular self-righteous lifestyle and subsequently make attempts to bring you into the fold on the pretense that you must change your ways because they are different than mine and therefore they put you in the ‘unsaved’ category is nothing less than absurd. That perspective masks the true intent of Christ’s statement. You see, Jesus’ messages to us are all pretty uncomplicated. The real beauty is that he didn’t just say them; he lived like he believed them. We all know his statement about the greatest two commandments. Many Christians don’t realize he begins with the Shema, the central prayer of the Jewish faith which can be found in Deuteronomy 6. In Matthew 22 Christ elaborates on the Shema, not changing it…rather expanding on the meaning of loving God. This should lead us to deepening our understanding of “loving” God. You see, when we love God with all of our hearts, with all of our souls and with all of our minds we also love all that God created and all that God loves…which is pretty much everything. This brings us back to judging others and how doing so moves against the concept of love. Jesus gave us a simple statement for this as well. Do not judge, so that you may not be judged. For with the judgment you make you will be judged, and the measure you give will be the measure you get. Why do you see the speck in your neighbor’s eye, but do not notice the log in your own eye? There is something about our human nature that compels us to live by comparison, as if our achievement ratings make us something special. In essence, Jesus called this a myopic perspective. You know, things that are near can be seen clearly, but things that are far away become blurred. He just used logs and specks to make the point clear to his listeners. Sometimes we need a corrective lens to see the blurred images. Sometimes that lens is a long conversation that pulls us out of judging another and into a place of understanding the value of their opinions…even if we don’t agree with them. Unfortunately, we have some form of misguided belief that friends are people who see eye to eye on everything. First, that isn’t really possible and second, watch how fast such a friendship fails when one party or the other experiences a differing opinion. Those kinds of friendships are based on looking at the other person as a reflection of ourselves and absolutely liking what we see. The more we look, the more we like…until we see a wart, a zit, a blemish that threatens the perfection of our egocentric self. Then, we judge…and they judge…we judge some more…and so it goes. It is actually much easier to judge someone we don’t know at all. We read a news article or see a television report. Maybe we hear about them from a friend who heard something from another friend. By focusing on the other person’s perceived failures, I might feel pretty good about where I am in life. But, what if I actually meet that person and talk to them? What story will they be able to tell me about the experiences that drew them into certain behaviors or activities? How are their beliefs different than mine? Is there something I can learn from knowing who they are and where they come from? How will my life change as a result of knowing them? How will their life change as a result of knowing me? Therein lies the depth of meaning in a simple statement from a decidedly bad movie. “Being there when someone needs you is all that relationships are.” To be there, I have to care. I have to know what will help and what won’t. To know those things can only come from knowing the other person. No, not assuming I know them and what’s best for them, but knowing who they are and what they need from me right now…right here. There is a story about farming in Kenya. The farms were producing poorly. Mission groups talked about teaching the Kenyans to increase their crop production through irrigation systems, better seed, crop rotation and the techniques that American farmers use. However, when they sat down and talked with the Kenyans, they learned that the problem was because of elephants. The solution was to build fences to keep the elephants out of the crops. There is nothing in the equation about agreeing with everything the other person says, does or believes. It’s essence is in caring enough about another person to take that proverbial walk in their shoes – along with them. First, and most important, I love you guys. Of course I have great memories and lots of pictures of the days you were born; preschool, high school, and college graduations; birthdays; vacations; dance and music recitals; sports; proms; and all the milestones of the growing-up years. I have attempted to fill photo albums with your lives. Honestly, they are pretty tacky. That’s no surprise since we all know scrapbooking is not one of my strong suits. More recently, I’ve started making slide shows of my digital shots, although it is slow and laborious for me. No, it’s not the technology. It might surprise you that I actually have that somewhat under control. My problem is that I keep hampering my progress to savor the memories and, subsequently, hunting for a tissue. Although we have succeeded in capturing the major moments of your lives, I hold even dearer the remarkable times that Hallmark hasn’t yet dedicated to a card campaign. I think of you, Bill, asking me where you should go to college…when you were two. “Honey, let’s get you to preschool first!” But, that was the theme of your life – always ready for the next chapter before I got past the table of contents. And, Christie, with your gentle approach to life and recognizing the need to live and let live you taught me to slow down and recognize the beauty in a situation. Two children with opposite, yet equally amazing, approaches to life. You see, neither of you came with an owner’s manual. It’s probably a good thing! It would have scared the tar out of me to read ahead about what to do for chicken pox, ear infections, visits to the principal’s office, adolescent drivers, broken hearts and all of the crazy twists life sent your way. It was far better to experience each day for what it was and worry about the ‘stuff’ when and if something occurred. The lack of instructions also meant I wasn’t prepared for the last bedtime story. When did that happen? I don’t even remember what book it was. When was the last time I held your hand to keep you safe in the parking lot? When did I stop sewing cute little dresses or spend the afternoon outside while you played in the sandbox and on the fort? When did you stop arguing over Happy Meals at McDonald’s or the special toy at Burger King? Or when was the last time you crawled in my lap for hugs and snuggles while we watched TV? In the thick of your growing up, some events passed right on by, unnoticed until I looked back and realized you both became adults…compassionate, honest, independent, responsible citizens…all that I could have hoped for. Yet, I am afraid I blinked several times too many, allowing you to shoot into the next stage before I knew what was really happening. I remember shopping one day and hearing the store’s pianist playing “Sunrise, Sunset” from Fiddler on the Roof. Yes, you guessed it. I had to leave the mall before I made a scene. 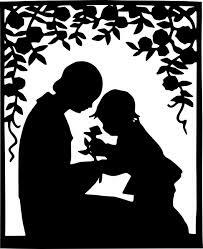 Mother’s Day is the perfect opportunity to say thank-you to you, my beautiful children. You have challenged me, stretched me, honored me, and loved me – even when I didn’t fully understand that you were the only ones who couldn’t do something that everyone else’s mothers let them do. You gave me the opportunity to discover how to function with very little sleep; to hear playful activities over the hum of the shower; how to stock my car with hand wipes, spot cleaner, kleenex, napkins, trash bags, snacks and 100 other items you may need on any given outing; and to organize schedules so everyone got to where they needed to be on time – which is no easy feat for someone who has never respected the clock. More importantly, you taught me to care about someone’s life and well being more than my own and to love unconditionally. And, for that, I cannot tell you how thankful I am. You see, children are indeed a gift from God. I don’t care if they are your own, nieces and nephews or the kids next door. Children challenge us to think creatively and to question why things are done the way they are. They help us to see frogs and flowers and mud puddles. They remind us that the world is a beautiful and amazing place for us to touch, taste, smell, hear and see God’s presence threaded throughout all that is. I love, even today, experiencing life through your eyes. You challenge me to rethink old notions and thoughts; to hike on muddy, rocky paths…both in reality and metaphorically; and to embrace all that life has to offer. I am deeply grateful for that, too. So, on this day, thank-you for the flowers and the dinner. Thank you for the phone calls and the “I love you’s”. But, most of all, thank you for the memories and the assurance that we will continue to navigate this crazy thing called “life” together. Relationships can be pretty darn hard. After almost 3 decades of marriage, there are still days when I wonder what in the world my husband is thinking. Of course, even though I frequently choose not to admit it, he has similar thoughts about me. It is an interesting phenomenon to think about, particularly as the wedding-season is approaching. I mean, what do you tell young people as they look at you with starry eyes and ask the rhetorical question, “How do you make a marriage last?” The first thing I typically think is that I am being patronized because of my age. You know, ask the old queen an easy question so she can preserve whatever brainpower she has left. Then, my thoughts move to questioning the intent of the question. Is this soon-to-be young bride or groom seriously wondering about maintaining the health of their relationship or do they want reassurance that their partnership is special and immune from dissolving into frustration, arguing and potentially divorce? There are many people I know, including my husband and myself, that have had what we now fondly refer to as our “starter marriages”. These unions began with optimism about what life should be after the I-do’s, but can’t withstand the realities that present themselves as life moves on. Some are doomed from the start simply because of unrealistic expectations. You know, things like, “It will be better when we are married,” or “I am ___ years old and it’s time for me to settle down”. Some marriages expire when one party or the other realizes they were in love with what they wanted the other person to be rather than to clearly see who they are. Still others end because our culture is not very good at making things work. There seems to be a belief that if a relationship is hard, it’s not meant to be. Allow me to sidebar at this point. Some marriages are not meant to be! Substance and/or physical and emotional abuse are deal killers. When they occur, the relationship is over. There are some amazingly strong people who can rise beyond their behaviors and addictions with professional help. These individuals have my utmost respect. So, what makes a marriage last? Go to any wedding shower and you will find sage advice woven into the conversation or, more obtrusively, written on cards that are presented with high hopes to the young couple. Honestly, to tell them to be open and honest at all times and to never go to bed angry sound good. But, how long do those virtues continue after the “I do’s”? “Open and honest” is well and good until the first bad haircut or the pants that actually do make one’s backside appear larger than normal. How about “open and honest” when the in-laws are coming for an extended visit? Or after making an expensive, special, time involved dinner that tastes like cardboard? How open should one actually be? Honesty is vital, but what happens when it falls in the category of being brutal? Then we have the concept of never going to bed angry. Really? As if anything is actually accomplished in the midst of fatigue after a long, frustrating day when all one really wants to do is go to sleep? In theory, rest and sleep are better when stress is minimal, but the reality is there will be times when it takes more than a day or two to resolve some issues. That doesn’t mean the relationship is doomed. It simply means there is something big in the way and it will take some pondering, soul searching, introspection, prayer and, possibly, professional help to come out on the other side of it. Like the other difficulties we face in life, these times can be catalysts for growth and deepening our understanding of who we are – both as individuals and as partners. Herein lies the key. It’s not about the money or the children. It doesn’t matter if the house is big or small or if the car is new or old. Nor does it matter if one partner or the other travels 5 days a week or works long hours. 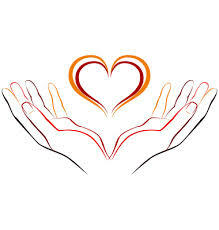 What does matter is that in the midst of life, both people feel loved, nurtured, respected, appreciated and safe. I guess that’s where open and honest fit in. Beautiful words and gestures mean nothing if they aren’t believable. But, when they are backed up by complete honesty, they are cupid’s arrow to the heart. Love begins and renews itself over and over again. The thing is, this mantra doesn’t work only in marriage. It is important in the workforce, at school, with our children or in any other interaction we have. We avoid the people who make us feel inferior, stupid, naive, or incapable, yet we migrate toward those who encourage, praise, admire or complement our actions. We long to be acceptable and accepted. I think that’s why I love my dog so much. It doesn’t matter what mood I am in, how unorganized or crazy I feel, if I have dressed up for the day or if I am schlunking around the house in pajamas. She offers me the gift of unconditional love. Because of that, I can forget that she gnawed on the dining room rug, (it’s been replaced), or had her way with a little used chair, (the upholsterer is coming to pick it up one of these days). What I do remember is that she is always glad to see me and share her tail wags and puppy kisses. You see, I believe God is the same way. God will love me always – in spite of my moods, my outbursts, and every personality wart that makes me…well, ME. To know and recognize God’s unconditional love allows me to chisel away at my more negative side and let the good shine through just a little more. God’s love makes me feel a little safer, a bit calmer…and the list goes on. So, what about marriage? What makes a marriage last? In my opinion, the cryptic answer is embedded in knowing puppies, God and the wisdom of Maya Angelou. I am done with Easter! I should probably clarify that I am done with what seems to be some general beliefs about Easter. First, there is the Easter that has been hijacked by consumerism. Discount and grocery store shelves are filled with chocolate candies wrapped in pastel colors…the same sweets that sported orange and black just a few months ago. 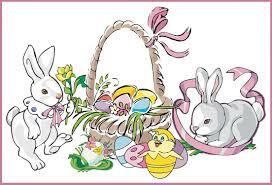 Kitchen appliance and decor stores boast chicks, eggs and bunny-painted plates that seem to guarantee a fabulous Easter dinner, complete with perfect families and a stress free day…as if there is such a thing. Department stores and boutiques have their window mannequins decked out in floral dresses and seersucker suits. Hats are not only everywhere; they seem to be a mandatory purchase. We are bombarded with the consumer version of the holiday – complete with promises that if we buy just the right stuff, our Easter will be as magical as the moment when Mary Magdalene realized it wasn’t the gardener she was speaking to. Then, there is the other Easter. You know the one where we are supposed to become joyful because Jesus died on a cross to atone for my sorry life and filter how I appear to God? Like, I am supposed to be glad that this perfect, amazing man who died a gruesome, painful death simply because of me…okay, and all the rest of humanity…came back to life and I am somehow supposed to trust the god that planned this horrific event that happened to his “beloved”? I mean, love a god that slaughters innocence? I know, I know…it’s about the resurrection not the crucifixion; yet somehow in this theological format the emphasis always ends up on the wrong event. The thing is, there is an Easter that I not only believe in, it’s one that I can find embedded with joy, trust and love for God. It’s one that absolutely recognizes Christ’s death on the cross and His return to life. The difference is, the Easter I believe in also celebrates Christ’s life simply because it is through his life that he taught us how to live. It’s so obvious in the text of John 14: 6-12. Jesus said to him, “I am the way, and the truth, and the life. No one comes to the Father except through me. If you know me, you will know my Father also. From now on you do know him and have seen him.” Philip said to him, “Lord, show us the Father, and we will be satisfied.” Jesus said to him, “Have I been with you all this time, Philip, and you still do not know me? Whoever has seen me has seen the Father. How can you say, ‘Show us the Father’? Do you not believe that I am in the Father and the Father is in me? The words that I say to you I do not speak on my own; but the Father who dwells in me does his works. Believe me that I am in the Father and the Father is in me; but if you do not, then believe me because of the works themselves. Very truly, I tell you, the one who believes in me will also do the works that I do and, in fact, will do greater works than these, because I am going to the Father. Do you see it? Of course, it’s all about the semantics. Who hasn’t experienced a zealous Christian evangelist who preaches belief in Jesus is a pre-requisite for salvation by using this text? But, what is it we are supposed to believe? That there was a virgin birth? That God is so angry at humanity that only Christ can convince God not to turn his back on us forever? That if I follow a prescribed set of religious behaviors then I, too, can be saved? That God hates certain groups of people? That God is gender specific? That said, I find it impossible to believe that God mandated Christ’s brutal, painful death. What I do find plausible is that certain groups saw Jesus as a threat to their power and authority. Others saw him as disruptive to their way of life. To maintain the order of life, as they knew it, Jesus had to go away. But, he wouldn’t! He continued to preach and teach God’s ways even when his own safety was threatened. He knew it was a matter of time and he attempted to prepare his followers for the day when he was gone. Jesus loved people, but understood the dark side of human nature well enough to know that his time was limited. Is that what God wanted or intended? I sincerely doubt it. I believe God wanted humanity to embrace the message Christ brought to them from God. That message showed people the “way” which was “truth” and offered “light” to the dangers of a life lived honoring wealth, power and authority. Jesus’s way showed humanity what it meant to live life as God created us all to live. I often use the example of a toaster. It comes with an instruction booklet to let the owner know how to use it safely, limitations of its function and what to do if it isn’t working. The bottom line is, the toaster is designed to do certain things. If I decided to make pancakes in my toaster – not the pre-made frozen variety, but homemade buttermilk pancakes – I would create a horrible mess. My toaster would be dripping with batter, the heating elements would likely blow out, there would be the stench of burned goo, and I not only have to make other plans for breakfast, I would probably need to send my toaster in for repairs. A toaster is not made to make pancakes. However, if I make toast in my toaster, I will be happy with the results and my toaster won’t wear out quite as quickly. Maybe I’ll try to make a grilled cheese sandwich in it, or toast a frosted pastry. If I do, I again run the risk of damaging my toaster. If I keep expecting my toaster to do things that it was never intended to do, I might need to have someone show me how to properly use it. The engineer who designed it might come to help me. Most likely, I would get my tutorial from someone else who knew what the engineer intended in his/her design and could guide me along the way. God lovingly created us and the world we live in. Throughout time God has attempted to hand us an owners manual. Take the 10 Commandments for example. They are a guide for living by loving God above all things and loving others as we love ourselves. When humanity had issues following the rules, God sent Jesus to show us what living as God designed us to live looked like. Jesus is the way…God’s way. Can anyone picture Jesus nailing someone to a cross? I can’t. Yet, to know Jesus is to know God. It doesn’t fit that God’s vengeance came in the form of murder. Killing unrighteous behavior with love, kindness, compassion and mercy is more likely. Now, that’s an Easter I can get excited about! Alleluia!!! 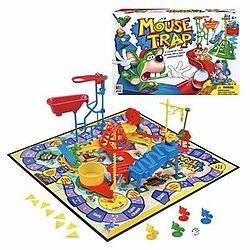 My brother and I thoroughly enjoyed the game Mousetrap when we were children. So much so, I tracked it down for my kids when they were the right age. I think it’s still in the attic…somewhere. Which reminds me, I could certainly spend some quality time cleaning the attic…and basement…and garage…not to mention several closets. But, that’s a different topic for another time. My recollection of Mousetrap came about this morning while I was brushing my teeth and thinking about my daily first cup of coffee. Those simple activities were overshadowed, however, by the sorrow clouding the morning. Snow, although unusual for this late in the spring, seemed entirely appropriate today. Its chilling presence was consistent with the knowledge that yet another shooting occurred and threw a community into unrelenting agony. This time an innocent adolescent, his grandfather and a woman were murdered simply because they were in buildings with Jewish ties. None of them were Jewish, by the way. Neither were many of the other people who were there. These buildings and the people who built and administered them welcomed everyone who came in peace to enjoy what they had to offer. Some came for the arts; some to work out or compete in friendly competitions; some were there for health care or retirement living. Their commonality? All are God’s children. Period. Plain and simple, yet it’s all that actually matters. Not their collective theology, ethnicity, socioeconomic level, favorite color or the kind of dog they happen to have. All of them – even the shooter. Our game of Mousetrap consisted of building a simple machine designed to catch a mouse in the overly engineered Rube Goldberg fashion. Once the structure was completed, a series of amusing chain reactions – including an old boot kicking a ball which fell from a tower into a bathtub causing the tub to tip making the ball roll into a stick that caused a vibration making the trap fall – resulted in catching a mouse shaped marker on the game board. It was a silly, childhood game that taught us about cause and effect, much like building a domino structure. If everything lines up in the right way, one event will cause all of the tiles to methodically fall. The community of game pieces moved together…standing and falling through the course of events, interacting with each other as they careened toward their final movement. Yesterday’s event was yet another in a series of violent attacks on groups of innocent people. The list is infinite. When did it start? When will it end? We try to blame guns, as if inanimate objects are capable of brainwashing the individuals in possession of them. Knives, pressure cookers, nails, fertilizer and a litany of everyday products have also been in the news as tools utilized in mass destruction. I suspect everything we know of can be used for either good or evil. Maybe it’s actually us – humanity – at the root of this epidemic of violence and slaughter. Maybe we have come to a place where we must scrutinize who we are and have become as a society to find a realistic blame and subsequent fix for these events. Yesterday’s shooter is reported to be a retired Army veteran – a Green Beret, no less! This is a man who served during the turbulent era of Vietnam, peace demonstrations, and hippies. He spent the next decades absorbing himself with hate groups and the idea of white supremacy, although hate isn’t simply a factor of skin color nor does it mean caucasians have a corner on the hate market. But then, I digress again. The point is, what happened to him? What series of domino events tumbled through his life to bring him to this final, hellish event? How did hate replace the respect for liberty and freedom that he pledged to represented during his military career? Or, did his hate for people who looked and thought differently than he did motivate his actions even then? You see, I believe that if we weep for the victims, we must also weep for the accused. Something is going on in our society that produces the perfect storm of hate, anger, hostility and warped idealism that nurtures the distorted perspective embraced by some that these actions are somehow appropriate. No, the average citizen doesn’t condone such cowardly violence. In spite of that, the frequency of these events is gaining momentum. It brings me back to cause and effect. We live in a “live and let live” culture where “I’m okay and you’re okay”. We turn away from a neighbor who seems odd or weird and let them “do their own thing”. We find reasons for every behavior whether it’s a disability, a life event, a poor parent or a disadvantaged childhood. There is even a new condition called “affluenza” which the book Affluenza: The All-Consuming Epidemic defines it as “a painful, contagious, socially transmitted condition of overload, debt, anxiety, and waste resulting from the dogged pursuit of more.” Seriously? Why not call it what it is? Greed! But, no, instead of burdening an individual with personal responsibility, we find reasons for inappropriate, unreasonable, wrong behaviors as if by giving someone excuses it will help them find a better way. This is nothing more than enabling some to continue to live as if nothing but their personal issues, beliefs and desires are the only things that matter. Unfortunately, self-absorbed conduct builds on itself. Most of the enabled will live relatively calm lives driven by their narcissistic tendencies. Others will grow increasingly dissatisfied with their perspective of what is wrong with the world. A few, when the dominos of their life experiences line up just right, will justify hideous actions as if they were doing the right thing. Our response is to mourn the loss of innocent life and exterminate what we blame as the cause, whether it is a person or a thing. It is much more difficult to reflect on who we have become as a society that these heinous events continue to happen. Maybe we need to stop categorizing people with absurd generalizations that are intended to apply to the entire group whether we are referring to religion, politics, ethnicity, socioeconomics, school we attend and/or favorite flavor of ice cream. It’s as if the us-and-them mentality should be a rule for choosing our friends and targeting our enemies. But, God had something else in mind for us. Jesus, who was betrayed by a friend and murdered by those who didn’t understand him and therefore hated him, never deviated from his message of compassion for all of humanity. It wasn’t limited to his religious tradition, his gender, his geographical home or his family. No, he didn’t condone poor behavior or chalk it up to the result of a difficult life. He stretched people to be all that they could be. He healed physical, emotional and behavioral scars through love and compassion and challenged those who were touched by him to live as he did loving and serving the world around him. I wonder about yesterday’s shooter, as I do the boy with a knife in Pennsylvania and the Boston Marathon bombers. I wonder about Judas and Pilate and Herod. I wonder about Mother Theresa and Francis of Assisi. I wonder about Hitler and Stalin. I wonder about my neighbors and what joys and pains they face. I wonder about hope and care and compassion and crime. I wonder about greed and responsibility and whether or not the frost tonight will affect the blooms of spring. Each of these things can become the cause and effect for good or for evil. When I turn the crank, will the mousetrap fall? Or will one slight alteration in the course of events change the outcome? Our community is shocked and in mourning. May we rise up from this outrage with eyes so open that we recognize where we can change hate into something that looks a lot like love and compassion. As our arms open to those who grieve the loss of a loved one, may we also examine our own hearts to realize where we, too, bear responsibility for the atrocities we experience in life. Monday has many promises attached to it. Traditionally, it’s back-to-whatever-your-work-is day after the weekend. It might be a job, school, work out routines, yard work, household chores, errands and the litany of things that keep us busy and, theoretically, our lives running smoothly. Well, maybe not smoothly…but running. You know, back to the ‘old grind’, vacation’s over and the longing for a quick week so once again we can enjoy the change of pace on the weekend. That is, if we allow our pace to change. I am referring to the weekends that are filled with athletic events, social gatherings, yard work, house work …wash the car, tidy the garage, sweep the walks and try somehow to finish all the things we didn’t seem to have time for during the work week. Before you know it, Monday’s sunrise forces us to peel our eyes open and grudgingly pull our bones out of bed. It’s easy to feel like a hamster chained to the spinning wheel of produce, accomplish and succeed. We know that Sabbath rest is a time for us to say, “no” to routine tasks so we can drift into the things that restore our souls and our outlook on life. Worship is one of those things. Picnics, baseball games, gardening, family gatherings, long walks with the dog, and peaceful naps are too. Sabbath is about remembering who we are and Whose we are. It’s a time to remember the One who loves us more than we can ever imagine and, out of gratitude for that love, seeing the world around us as a place to enjoy and nurture. It’s a time to laugh with loved ones and friends. It’s a time for compassion for all of creation. It’s a time to put aside the pressures of the week and remember who and what is important. It’s a time to refresh and restore. So…what about Monday? The New York Times has reported that more heart attacks happen on Mondays than any other day of the week…a day when we should actually feel ready to meet the challenges that come our way. The problem with Monday is how we practice Sabbath rest. When my kids were young and played organized sports, they were told, “how you practice is how you play.” Imagine a coach teaching detailed soccer skills at practice in preparation for a tournament. Unfortunately, it’s a basketball tournament. Did the wrong skills become routine? Or, were they headed toward the wrong competition? The transition between Sabbath and Monday isn’t much different. Sabbath is an opportunity to practice what it means to be human – the kind of human that God intentionally and lovingly created. It’s not about practicing religious legalisms that show nothing except that we know how to follow the rules of our denomination; rather it’s about living life as God longs for us to live it – loving God above all things and loving our neighbor are ourselves. We have scripture and the example of Christ’s life to show us what Sabbath looks like. The Gospels offer stories about Jesus spending his Sabbath laughing with friends, caring for the sick and needy, sharing a meal, extending a hand and offering hope to those who have none – even if those things looked like something that ‘shouldn’t’ be done by a good religious person on a day that’s set aside for Godly things. In all reality, what can be more Godly than showing and sharing compassion? Our theoretical tournament starts on Monday morning. Do we play the way we practiced? Or do we walk into Monday forgetting our Sabbath lessons? Do we get out our claws and methodically use them to further our position on the corporate ladder? Or forget that we aren’t the only person using the road to get to work? Maybe we tie up the line in the grocery store because we forgot an item and ran back to get it? How about our use of household and laundry products that harm the earth? Ever get frustrated and kick the dog? Do we become so obsessed with our desire to produce that we forget what we supposedly spent time trying to remember just a day or two ago? You know – the whole compassion, caring, loving thing? You see Monday should be about the game…the one God calls us to play. Yes, production at work is a reality and yes, chores can become mundane and boring. But, if we play the way we practice we will “focus on whatever is true, whatever is honorable, whatever is just, whatever is pure, whatever is pleasing, whatever is commendable, if there is any excellence and if there is anything worthy of praise, [we will] think about these things.” (Philippians 4:8) Our actions will then reflect that goodness. If we neglect those amazing sabbath lessons, we run the risk of letting production and power guide our choices. Throw in a little envy for those who seem to have it better than we do, some contempt for those who we think have wronged us and a bit of prejudice and hostility for the things we think are wrong with the world and we have the perfect recipe for stress, anger and depression…the antithesis of God’s longing and hopes for us. The thing is, it’s easy to get sucked into life as the world teaches it should be lived. So easy that unless we continuously practice sabbath rest, love and compassion we will fall into the abyss of life according to the gods of power, wealth and productivity. Which life is on your game card? What will your practice be to prepare you for game-day? My prayer is to practice the restorative and refocusing Sabbath rest found in living as Jesus calls us to live and to take that foundation with me as I play in this crazy tournament called life. Words matter. Really – they do. The words we choose tell a story far beyond the simple sentences we put them in. For example, the word ‘storm’ seems pretty straightforward. Who doesn’t know what a storm is? The general definition is a disturbance in the atmosphere. We typically think of wind and rain, maybe some lightening and thunder. It could include some hail, but basically, a storm is a storm…right? So, what if that storm is a winter storm? Yes, precipitation is still a factor, but scratch the hail, lightening and thunder. Okay, sometimes we have thunder snow, which means lightening and thunder happen with the snow. Then there are sand storms – if you live in a desert. You get the point. The understanding of the word ‘storm’ can be relative, depending on the general conditions and time of year in the given area. “Bible” is the same way. We have the canon, which is one thing if you are Protestant and another thing if you are Catholic. We have numerous translations of the original text and only pieces of those initial manuscripts. Then, there is the whole discussion about who wrote it and how it was written. Like, did God guide the hand of the writers or did the writers attempt to write about the place where their lives rubbed up against influence from the Divine? Is it history or is it a compilation of stories to tell us something about who God is and who we are in God’s world? Then, there is the whole God-thing. Who is God? Is he a judgmental ruler who watches and waits until we mess up so he can pounce on us with consequences? Or is God the essence of all goodness that longs for us to move in rhythm with him (or her…) throughout time? I attended a study last week where several questions came up about the Sabbath and what it should mean to us in our 21st-century lives. I maintain that how one answers, “What is the Bible?” and “Who is God” will determine how one recognizes the Sabbath…as well as how one responds to most of the issues encountered in this crazy thing called “life”. Let’s look at this more fully. Aside from the obvious discussion of Christ’s statement about the Sabbath, the questions arose, “Why was the bread only for the priests?” and “It sounds like they were starving (in need of food), so what were they supposed to do?” In reality, was the bread only for the priests because it was so holy that only seemingly holy men could eat it? Or was it only for the priests because it assured their daily sustenance? If we fast-forward to today, would we deny a starving person bread that had been blessed for the Eucharist if that was the only food available? Or would we feed them out of compassion and worry about replacing the ‘holy’ food later? You see, how we define the Bible and God will affect how one responds to this dilemma. I believe the Bible is holy and a set of writings by humanity throughout time attempting to let others know what a relationship with God looks like. However, what made perfect sense to the writer(s) of Torah becomes muddy as we read their script today. We can recite the words, but the essence of those words become complicated as we attempt to understand the culture and tradition within which they were written. Yet, we say the Bible is timeless and written for all generations, including now and those to come. Maybe there is something we are missing in the interpretation. I for one have certainly broken several laws that were important to the ancients. There are things in scripture about gold earrings and braids that our religious culture doesn’t deem important anymore. However, don’t even get me started on passages about slavery and the right way to treat a slave! To condone human ownership, let alone attempt to claim it is Biblical is cause for me to break a few more of the ancient rules…the silence of women being a trivial start. The point is, to embrace scripture and what it says to us today must be something other than literal interpretation. If the intent is to let others throughout time know what a relationship with God looks like, then the importance has to be in understanding who God is. That’s where Jesus comes in. If we believe, as the ancient writers told us, that Jesus is God in human form, then to understand the words and actions of Jesus is to get an idea of what our relationship with God should look like. Jesus loved people…all kinds of people. His list of friends included crazy people, tax collectors, fishermen, shepherds, women, wealthy, poor, widows, children, prostitutes, Romans, gentiles…have I missed anyone? The point is, Jesus found beauty and acceptance in everyone. To put this in perspective, think of the woman who was to be stoned for adultery. (John 8:1-11) Jesus told her to go and sin no more. My guess is, she was so grateful for his compassion that she did exactly what he said. I suppose this is where we could go on another tangent about what exactly we mean when we use the word “sin”. Suffice it to say, I have to believe she went back to her life and lived out the tenderness that had been offered to her. She was loved by Him and responded to that love by sharing compassion with others. That brings us back to the Sabbath. What does it mean to keep the Sabbath and how do we respond to the part where scripture informs us we will loose our friends and die if we don’t. (Exodus 31:1-15) We tend to ignore that part when Sunday rolls around. No, we don’t have to worry about our community stoning us if we prepare a meal on Sunday or walk more than 500 steps. But, we have also moved pretty far away from understanding why God insisted we recognize the Sabbath. You see, we are created in God’s image. (Genesis 1:27) God wildly created for six periods of time, referred to as ‘days’ in the ancient writings. I have visions of a sculptor that chisels and taps in a frenzy of creative activity allowing little time for rest, food or friends until he stands back to say, “It is good” and sits down to enjoy his work, maybe with a cup of tea and a biscuit. Maybe he calls out to a friend or two to come and see what he’s done, pours tea into their cups and pulls out the canister of biscuits along with some cheese to augment their time together. They talk and laugh, sharing the moment. 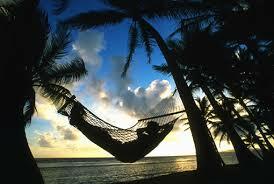 Then, after they all go home, the artist decides to lie in his hammock with a comfy quilt and rest. The next day, when he is feeling restored, he walks amongst his friends and enjoys their company; he nurtures them when they are enduring troubles, he laughs with them when they are amused and even pops out a miracle or several like turning water into wine. You see, God knows how important it is for us to rest, to take time to restore our souls and to nurture our relationships…for without these things we will surely die. Because we are human and cannot understand all of God’s ways, we have made the Sabbath into a day complete with laws that define what rest should look like. Jesus reminded us that life happens, even on the Sabbath. Someone gets hungry…someone needs healing…someone needs our love and compassion. You see, to believe that God needs us to focus on adoration for God and nothing else for an entire day every week is to ignore God’s love for all of creation. On the flip side, to ignore our need for rest is to forget who created us. It can get pretty tricky if we try to put Sabbath in a box of legalisms. What if we took to heart that God longs for us to be whole and looked at Sabbath rest as our opportunity to restore the things that make us whole – things like loving God with all of our hearts, souls, strength and minds and loving our neighbors as ourselves? (Matthew, Mark and Luke as well as numerous other references) What if we spent time in daily conversations with God – whether we call that worship, prayer or meditation – and what if we did the things that nurtured God’s creation out of the love we experience as a result of the love God lavishes on us? What if that’s what Sabbath rest is supposed to look like? As I look beyond the remnants of winter’s smudges and stains on my window toward an ancient oak tree in the front yard, my excitement swells in response to the inevitable coming of spring. Yes, it’s almost time to get out the buckets and rags to clean said glass, but not quite yet. Grass is more prevalent than snow today. It might be for only a short time, but it is indeed a glorious sight! Buds on the trees and shrubs are becoming visible, like tiny goose bumps on fragile limbs. Their expectant promise of bursting into blossoms and leaves instills hope and the anticipation of change. A stream of water from melting ice and snow lazily flows next to the curb, looking for a place to either create a magnificent puddle or disappear into the storm sewer drain. Lucy, the puppy-girl, bounds around the back yard, thrilled beyond belief as she finds toys that were previously hidden beneath drifts and are now revealed. Her muddy paws remind me that I need to keep a rag close to the door. I thoroughly share her excitement that instead of hard, cold ground we have patches of fragrant wet soil begging for seeds to find their way into them so new life can be established. Spring. It isn’t here yet, but it doesn’t take much imagination to realize it is close. It’s a curious thing to ponder the seasons. Winter offers us the opportunity to rest. It is such a joy to pull out a good book, light a fire in the fireplace, find a big blanket and spend the afternoon reading and sipping tea. A similar afternoon six months from now will come during a season that begs us to spend time walking, hiking, canoeing, gardening and experiencing God’s world outside the confines of our homes. Spring and fall let us know that we are approaching change much like a crescendo, or decrescendo, in music. Those seasons whisper to us that it’s coming…it’s coming…it’s coming. Fall slowly winds down the vivid life of summer into the stillness and quiet of winter. Spring wakes us slowly to newness and growth, hoping all the while that additional winter events don’t hit the snooze button, allowing spring to doze in and out of consciousness before it explodes with new life. In like form the liturgical seasons give us the opportunity to experience God in different ways. We deepen our knowledge of God as we anticipate God’s presence in Advent, we met God in the person of Jesus during the Christmas season and we learn something about God’s plan and purpose for creation during Epiphany. The season of Lent leads us into a quiet time that encourages us to pull away from the routine of life and reflect on who we are in God’s world. To do so, we have to quiet the voices around us that tell us we have to work harder; be better; do more; eat less; want more; get angry at; support this cause; dispute that cause; and generally run in circles all day trying to achieve whatever it is that our society and culture deem important. Who am I? Who was I created to be? How am I ever going to know, let alone figure it out in a mere 40 days of Lent? Sometimes it’s just easier to let life go on as it does and not confuse the issue with the results of contemplation. Yet, we know if we embrace the opportunity for rest and restoration that winter offers, we are ready for the new life of spring. In like manner, if we allow the season of Lent to wrap around us and guide us toward the hope of the next season, we will be able to get up on Easter morning knowing that we are walking into something new, wonderful and full of life. You see, Lent is about reflection. It’s about cleaning the mirror so one can see clearly what is reflected back at them – the good stuff, as well as the warts and all that makes them who they are. And, it’s about piecing that knowledge together with what we know about God’s ways to recognize what parts of our lives need to continue as they are and what parts need tweaking. I gave up shopping for Lent one year. A friend reminded me that Lent is not a diet, which made it completely acceptable in my mind to continue eating the traditionally eliminated vices of chocolate and desserts throughout the season. I had friends who gave up social networking or addictions to online news feeds. Others gave up television or attending parties. I felt like I had to give up something to symbolize my penitence. Shopping popped into my mind and nagged me until I gave in and signed up to avoid the mall. I could still grocery shop or purchase necessities like medications, everyday supplies and toiletries. I could not shop for clothes or frivolous household items. I really like to shop, particularly when moving from the drab colors of winter to the lively hues associated with spring. It would be a challenge to keep from buying adorable new sandals or filling a bag with fabulous seasonal home decorating accents. The first week was embarrassing when people asked me what I gave up. I joked about being shallow or not having a transgression worse than shopping. However, by the time the season was over, I was able to clearly see the disproportionate place shopping absorbed in my life and that I needed to tame it. It wasn’t about the money I spent as much as it was about the power I allowed advertising and material things to control me. I was looking for comfort and acceptance…but I wasn’t looking in the right direction. Lent, like winter, is a season that begs us to stop for a moment. Then, just as winter gives way to spring, Lent urges us to turn toward God and grasp the gift of hope. As we embrace the promise of spring, we are inspired to clear dead and decaying limbs and branches from the yard to make way for new plants and growth. Lent encourages us to do the same with our souls. What habits or behaviors do we need to remove from our lives completely and what things need nothing but a gentle tidying to make room for us to live in the world as God created for us to live in it? To change directions and turn toward God is life giving. But, life can pull us in many directions making it difficult to know what direction is the right one to face. The beauty of giving something up for Lent offers us the opportunity to pause and open space in our lives for prayer and reflection, the contemplative practice that offers clarity regarding the direction one needs to turn to see the gift of new life. Lent is coming. Will you take the challenge it offers to pause, reflect, turn and live?